This is not my first experience with ARTistic Pursuits, having reviewed and enjoyed one of their elementary art books last spring (here), and I was very excited to learn they have two new books published now. 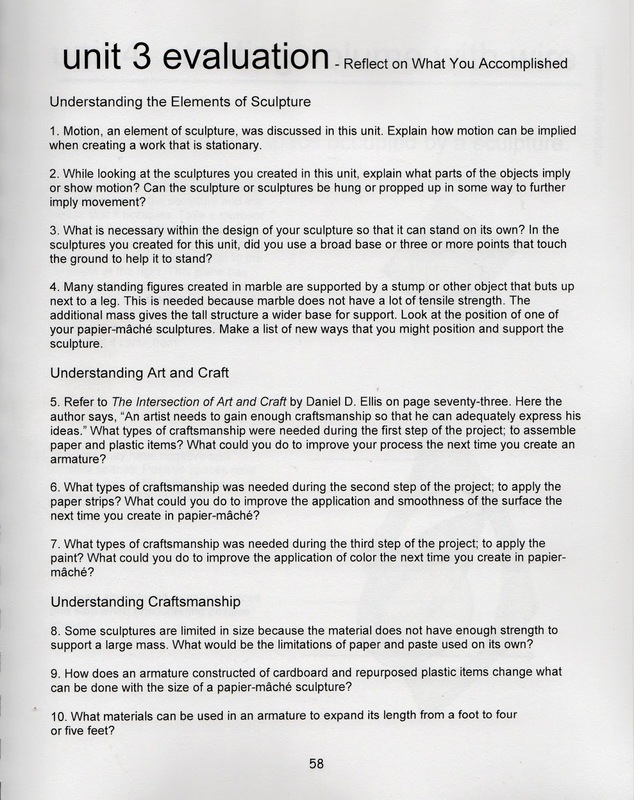 We were chosen to review Sculpture Technique: Construct, a new book about construction techniques for wire sculptures, papermaking, papier mache', and cardboard construction. 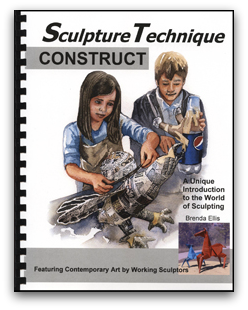 The Sculpture Technique: Construct book retails for $47.95, and is recommended for ages 11 -18. 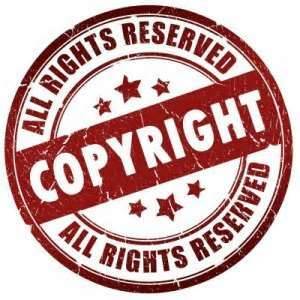 It is non-consumable, and can be used over and over. 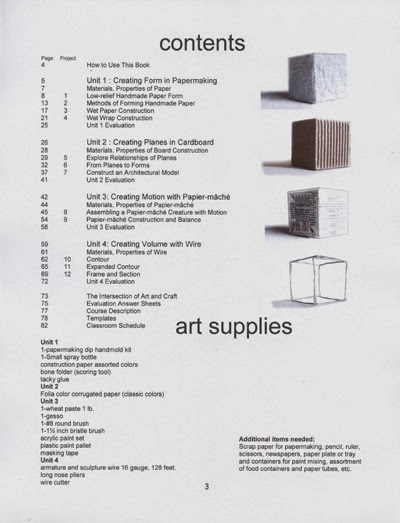 It does require a few supplies, as shown near the bottom of the page found HERE. Part of the fun of reviewing this one was getting a few new supplies that we normally would never consider when shopping for craft ideas. My 5th grader is extremely artistic and loved that we were chosen for this review. The first technique she wanted to try was the papier mache' construction. 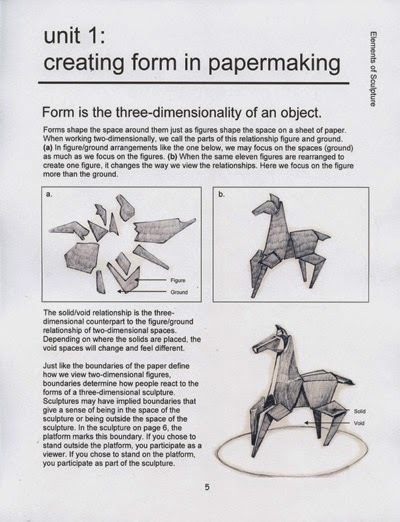 ARTistic Pursuits suggested that she first choose an animal to construct from various household materials, and then to consider a way to show action and motion in your animal. She chose to construct a meerkat on its back feet, in the alert position. Once she constructed it, she followed instructions on how to layer newspaper which had been coated in our homemade concoction of flour paste (recipe included). She carefully and methodically layered the meerkat with the papier mache', and she set it aside to dry really well for two days. Once dry, she had a great time experimenting with the paint colors to get them "Just right for a meerkat." I think she did pretty good! We have this on permanent display in our den now, and it makes me smile every time I look it! Here is another new construction technique that ARTistic Pursuits so wonderfully illustrates. We purchased 18-gauge and 16-gauge wire in two different colors with which to experiment. For several of the larger curves of her sculptures, she was able to bend it with her hands and use her fingers to manipulate it as she desired. For the more intricate bends and twists, she used needle nose pliers. Abbey has never used needle nose pliers before but she did really well with them and I could tell she enjoyed this process as well. She created a gift for our pastor--the words say, "Jesus is our Savior" overlayed on an article about our pastor. More than just cutting and pasting, this section of Sculpture Technique: Construct included techniques on how to make 3D architectural models, 2D abstracts on different planes, and a combination of the two. Although hard to see in this photo, she created 3D shapes coming up off her "planes" and used five different textures of paper. The book suggested cutting techniques, so I could see her mimicking those techniques. Next to her papier mache' meerkat, this was most definitely my daughter's favorite activity in the Construct book. Using the papermaking grid was new for both of us, and I helped her with this dipping technique in order to help her hold all the papermaking frames together and to help keep the pulp on the screen. First step: pick out paper colors and "blend" them before putting them in the dipping pan. She chose pink, yellow, and blue. Next step: dip the papermaking mold in the pan, spreading the pulp out evenly. This is where she started getting excited. She then laid the screen out on the towel as directed and began soaking up the excess water from her newly created paper. Then the big reveal of the paper she created! She giggled as she realized it looked like carpet padding (only a contractor's daughter would think that)! After drying overnight, she used her newly created paper to make a beautiful flower, using the petal templates found in the back of Sculpture Technique: Construct. In addition, ARTistic Pursuits has even included a Classroom Schedule, which serves as a lesson plan for your art class. The units can be started in any order (i.e, Papermaking can be done before the Wire Sculpting), but this schedule gives you a great suggested guide for working within individual units. I already had a strong feeling that I was going to enjoy watching Abbey with this new book, and I was not disappointed. I love that ARTistic Pursuits encourages students to use their already-creative minds in more than just a static way. These are wonderfully advanced techniques that are broken down in user-friendly steps for you and your students. Each step is well laid out and illustratrations guide your student along the way, and this thick book provides plenty of real-life examples of modern art from which the students can draw inspiration. The only suggestion I would have for these older student workbooks like Sculpture Technique: Construct and and their other new offering, Sculpture Technique:Model, is to offer the kids a password-protected section on the ARTistic Pursuits website that shows short videos of the introductory section of each technique, with tips on how to make the process go smoothly or tips on how to use the tools involved. All of the art programs offered from author Brenda Ellis and ARTistic Pursuits are well worth the money, and I highly recommend them for your classroom! If you're interested in learning more before you decide, I encourage you to visit the ARTistic Pursuits website HERE, or their Facebook page HERE. Several of my friends over at the Schoolhouse Review Crew had the opportunity to review this book and different titles, so please take a moment to check out a few of their reviews by clicking the banner below! You did a lot of projects in a month! Your daughter did a great job. We finished the paper making unit and am looking forward to trying some other projects soon. Wow! She did so much, and it looks like she is enjoying herself while creating her art, too.